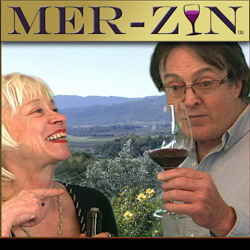 MER-ZIN... the "must-see" show for Napa Valley visitors! Producers Bonnie Zimmermann and Robert Battaile simulate the "Scenic Overlook" set in their new interactive wine-tasting comedy show. Producers announce creative plan to develop “MER-ZIN” – their wine-tasting comedy show and provide a sustainable downtown venue to launch other original plays and indie films. 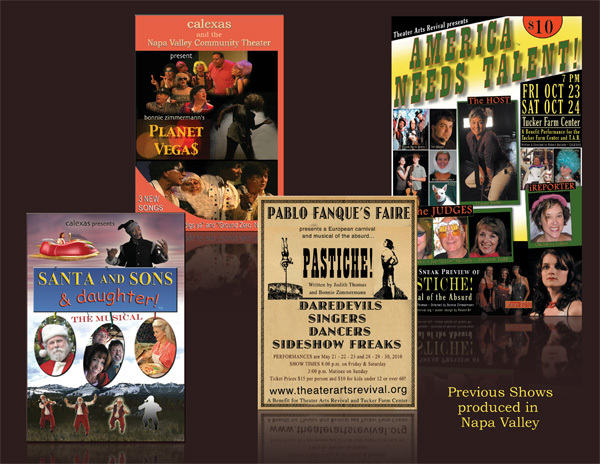 Wine industry veterans as well as Napa Valley theater and media producers, Robert Battaile and Bonnie Zimmermann think their comedy wine-tasting theater show can run for years and generate the capital and creativity to launch a variety of original theater and film projects. Note that the project was originally planned for Napa but Robert has moved to Austin. Bonnie remains in Napa and will consult. Thus, please substitute any Napa references instead to Austin. Please watch our 5-minute clip which walks you through the show. “Only two bottles were killed in the making of the video,” Robert comforts us. “And, there’s another video with our bio’s and mini-clips from our original shows there,” adds Bonnie. 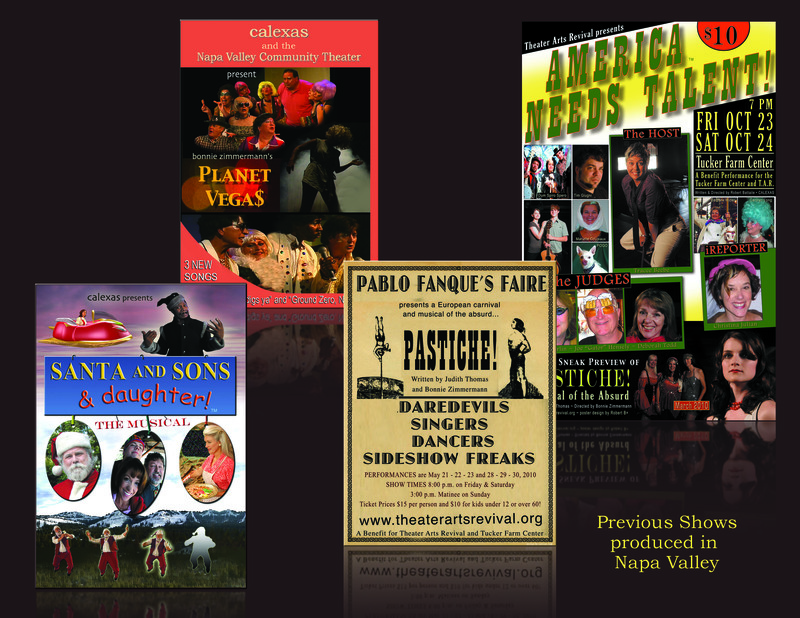 Thanks for telling all your friends that enjoy great wines and live theater experiences. at 7:30 pm with Friday, Saturday and occasional Sunday matinees. know some of the Wineries included but not the varietals or order they will be poured in the show. The cast includes nine people. Ticket prices are estimated to be $60-70 per person. accredited investors able to withstand the complete loss of their investment. Please consult your tax and legal advisors prior to making any investment. and that the Napa LLC has been discontinued. New business arrangements to be discussed. The SYNOPSIS is included in The SHOW. The full Script (by request).